What is the mean of Go-Base? Main possibilities of the service are transferring and management of equipment data (operation of the product before selling or leasing, technical characteristics and its specifications, forecasting replacing, repair and maintenance in time, as well as searching for a supplier, for example, of spare parts). Out-of-the-box solution for tagging Go-RFID. Durability of tags to aggressive conditions of operations. Read range tags up to 6 meters. Present equipment data at the time of identification and transfer to the customer. Monitoring of equipment condition before the moment of shipment and delivery. Creation of technological cards and technical locations. Quick search and selection of spare parts. Control of scheduled maintenance, timely replacement, repair and upgrade of equipment. Determining value of components for re-use. Single database for technical specialists. Unique digital passport for each item of equipment. Types of work performed and accepted service regulations. Data on product functioning (conditions and environment of operation, mount and adjustment, service and repair). Responsible persons and organizations by types of work. Completion of passport and executive documentation (history of repairs, shipments, tests, failures, emergency stops, etc.). 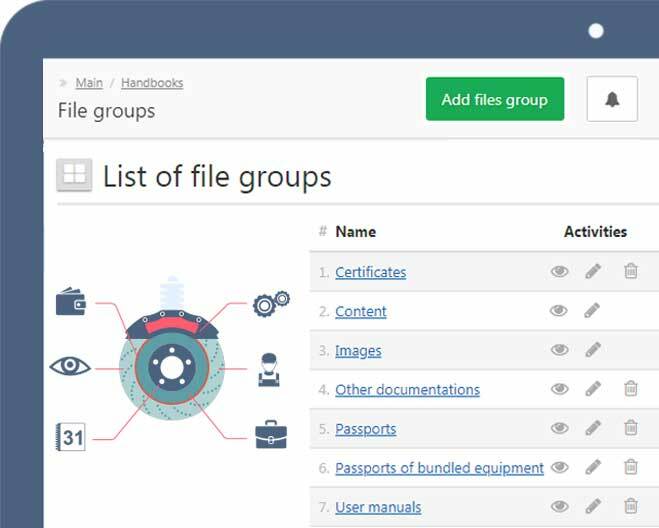 Centralized storage for managing documents through version control. Electronic archive of engineering calculations documentation and equipment operations. Present manufaсturer documentation for each equipment item. 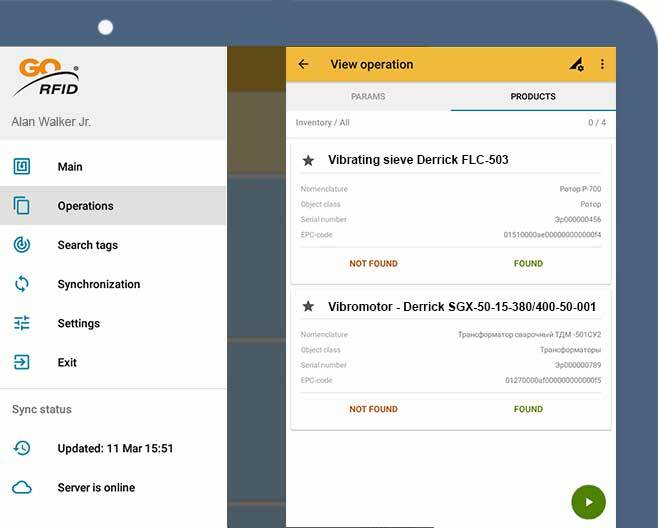 Ability to quick search for equipment in accordance to specified parameters. 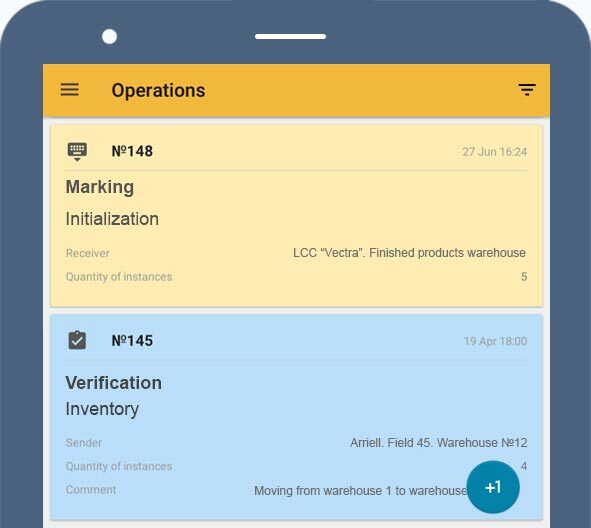 Automation of warehouse accounting and equipment inventory check. Automation of industrial and transport logistics. Interaction of manufacturer and consumer in single informational system. Reporting on warehouse operations and available nomenclature. 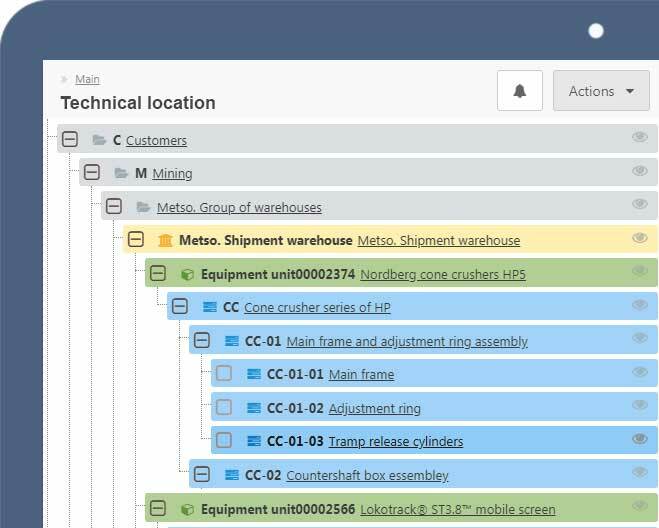 Integration with current management systems in enterprise. he task is to provide direct connection with consumer and to establish quick document flow of engineering objects. 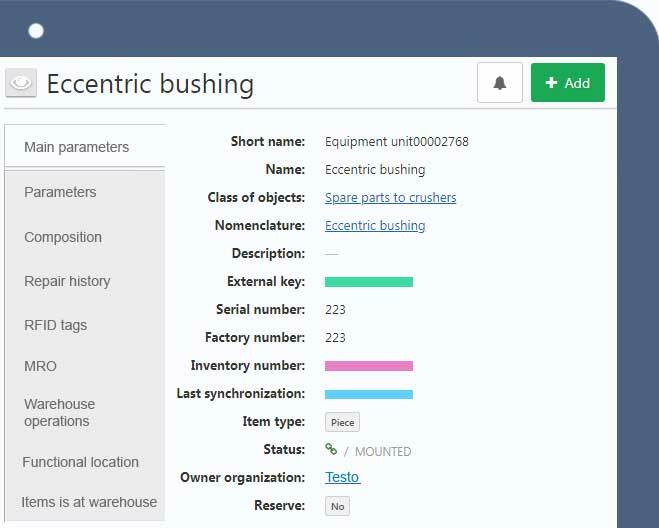 This will help to avoid counterfeit products, identify possible causes of failure or crash of equipment, while forecasting its technical condition and increasing quality management level. The manufacturer sends unique technical passport for each equipment unit through Go-RFID system of accounting and identification or directly to Go-Base through API, integrating with the enterprises' data management system. Then items corresponding to each transmitted product passport are created in manufacturer's account for further tagging and identification. RFID-tag with unique ID is attached to each product which is automatically registered in the system through Go-RFID Mobile application using industrial Android tablet or mobile reader. Then with each read, the application determines the tag ID which identifies the serial number of equipment and displays personal information for particular item. RFID tag remains on the body of the equipment throughout the entire life cycle of product item during exploitation. This creates a working online space for quick exchange of reliable documentation from manufacturer and customer's and suppliers interaction. © 2018-2019 – Industrial equipment portal.